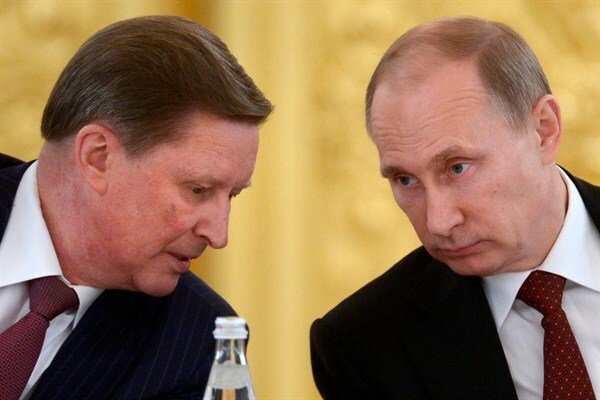 Russian President Vladimir Putin and former chief of staff Sergei Ivanov during a meeting in the Kremlin, Moscow, Russia, March 24, 2014 (Presidential Press Service photo by Alexei Nikolsky via AP). The Moscow Kremlin, a UNESCO world heritage site, has been the seat of Russian tsars, commissars and presidents for the greater part of nine centuries. Its glittering palaces and churches, soaring towers and immense fortress walls have witnessed dramatic turning points in the history of Russia and the world. But if tourists now stream through daily to peruse ancient icons, Romanov family jewels and relics of martial glory, the Kremlin, in its political sense, remains an almost complete mystery to the outside world.